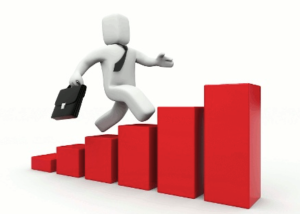 Steps for Success in Today’s Marketplace – Part II - KLA Industries, Inc. The task of resume writing seems to get a little more complicated with each passing year. Just remember, a resume serves one purpose; to get you an interview. The hiring manager will likely decide whether to interview you based almost entirely on reading your resume, so it’s imperative you show off your accomplishments and skills. We covered that in more detail in Part 1 . So now that you have an interview scheduled, what do you need to know? When many of us think of an interview, we think of a series of questions and answers, but the interview is not a fact-finding mission. How about this; let’s quit calling it an interview and start calling it something that is closer to reality — an audition. In my opinion, here are the best tips I know for acing an audition. The first is done before the audition, but you will use it throughout. Prepare. Oprah Winfrey said “I believe luck is preparation meeting opportunity. If you hadn’t been prepared when the opportunity came along, you wouldn’t have been lucky.” Research the company, starting with their website. Read every news article from the past year, know what their markets are, who their customers are, where they make their money, what new products they have, who their competitors are, and so on. This will help you understand the context of specific questions, and reference what you have learned when you answer questions, which will impress the company. But don’t stop there. Research the specific opportunity you are auditioning for and the people you will be auditioning in front of. No matter how great your personality, education, skills, and experience are, if the hiring manager and their boss don’t think you are the right fit for the position, you will not get hired. Put yourself in their position and plan how you will show them the fit between what they are looking for and your qualifications. Second, here is my most secret tip; the one that people thank me for repeatedly. It is born of two basic principles – the long-term memory doesn’t work well under pressure, and you cannot possibly prepare for every interview question you will get. Have you ever been asked a question where you did not give a good answer, only to think of what you should have said an hour later? The solution is to write down 3-5 (if your career has been longer, this might be 6-7) success stories in your career, such as projects or teams you have led or been part of. It is okay to take this with you to the audition. What you will find is that, if you are ever initially ‘stumped’ for a response, by referring to this list you will be able to answer virtually any question. I have had candidates tell me afterwards that this worked so well they almost felt like they were cheating. Lastly, be prepared to finish strong and close the company to a decision on whether you are right for the position and what the next steps may be. About 95% of candidates tell me after an interview that they thought it went well. What I want to know is, how did it conclude? If at the end of two hours, the interviewer stands up and says, “thank you for your time”, most likely that means it did not go well. Before you leave, you should understand the process and the time table for bringing you on-board. But you also want to know if you are the gal or guy, don’t you? Ask a question like this, to everyone you talk to during the process: “Do you have any questions about my ability to succeed in this position?” If there is a big negative, and it is real, then better to know right away instead of leaving and thinking all is well. Also, if it is not real, you can correct the mis-information on the spot.